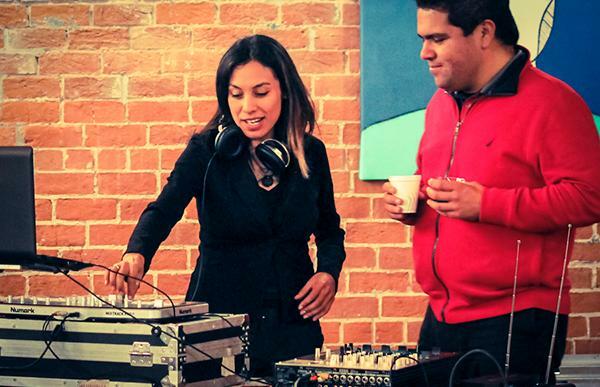 Above: DJ MusaMind and Tony Arias of KDIF 102.9 FM at the inaugural NALAC Pod gathering in Phoenix, AZ. At a most immediate level, organizations--like individuals--are able to perceive and survey changing conditions in their environment through the passage of time. Given that NALAC is now in its 26th year, it is a natural phase of development and self-awareness to reflect critically on the kinds of growth we've experienced as well as the learning that has taken place during such time in order to plan effective ways of moving forward into our next 26 years. It's therefore not difficult to see how participating in which is part of their continued work with the would yield a tremendously beneficial opportunity to reexamine our core values alongside any underlying assumptions so we can then continuously adapt our practices in ways that indeed achieve our goals: to better serve our community of Latino/a artists and arts organizations, and further cultivate the Latino artistic and cultural field. The correlation was there, especially when considering the Innovation Lab "was created to assist nonprofit organizations in designing and prototyping new ideas and to launch real-life projects that address complex challenges facing their organizations and the arts and culture field at large." 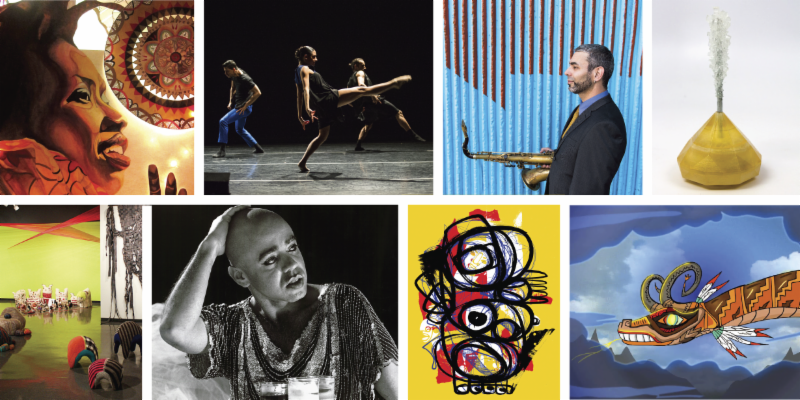 Congratulations to all of this year's Creative Capital grantees! We'd like to further acknowledge desveladas(Macarena Hernández, Sheila Maldonado, and Nelly Rosario who is an 2011 NFA Grantee), Tanya Aguiniga (2015 NFA Grantee), desert ArtLAB (Matt Garcia and April Bojorquez who is a NALAC Partner), Yara Travieso (2014 NFA Grantee), Marisa Moran Jahn, Branden Jacobs-Jenkins and Carmelita Tropicana, and Chris E. Vargas. Muchas Felicidades and much continued success! "NALAC is the one organization that truly does believe in me and all of my fellow Latina/o artists and administrators. They are always pushing us to be the best we can be. I always feel like I can call upon the staff and board members of NALAC at any time. NALAC makes us feel like we are part of one extended family. I am proud to be a member of this family." Have a job, call for entries or training that you'd like others to know about?Post it on our Opportunities section of the NALAC website. It's free! Above (L-R): Alixa Garcia, Ballet Hispanico, Felipe Salles, Cristina Molina, Tanya Aguiñiga, Pregones Theatre + Puerto Rican Traveling Theatre, Favianna Rodriguez, John Jota Leaños. This year, the National Association of Latino Arts and Cultures (NALAC) is awarding $328,000 in grants to 50 artists and organizations through three different grant programs: NALAC Fund for the Arts (NFA), Transnational Cultural Remittances Program (TCR) and Diverse Art Spaces (DAS). This marks the largest single distribution of program awards in our 26-year history. The Advocacy Leadership Institute (ALI) takes place in Washington DC on May 17-19 2016. This program is a three-day intensive, hands-on training that builds advocacy skills and knowledge about the role of government and public institutions in the arts field. A group of 10-15 participants will be selected to attend the ALI, where Congressional Staff and experienced arts advocates will impart skills to enhance efforts on behalf of Latino arts and culture. The application deadline is Thursday, February 18, 2016. Click here to apply and learn more. The NALAC Leadership Institute (NLI) takes place in San Antonio TX on July 11-16, 2016. The NLI is a week-long rigorous program in arts management and leadership development that delivers innovative and practical strategies that lead to successful business practices in the arts. The dynamic learning environment cultivates a familiar, inclusive cultural space that provides multiple generations of Latino artists, arts managers and cultural promoters the support, knowledge, and agency to confidently respond to and initiate solutions to complex cultural questions. The application deadline is Thursday, February 25, 2016. Click here to apply and learn more about the curriculum, faculty, and fees. With support from the Kellogg Foundation, NALAC is making strategic investments in Michigan to bolster leadership development, grow networks and partnerships locally, regionally and nationally and provide financial resources for artists and organizations involved in effecting change through arts and culture. Please view and share the job opportunities below to work with NALAC on this exciting initiative. Above: NALAC board and staff alongside regional and local arts leaders with NEA Chairman Jane Chu. On December 9th, the San Antonio arts community had the great pleasure of hosting National Endowment for the Arts Chairman Jane Chu as she visited several arts organizations and also participated in a Town Hall hosted by NALAC and the City San Antonio's Department for Culture & Creative Development. Chairman Chu's visit took place at the invitation of our own Maria López De León, member of the NEA's National Council on the Arts and of course Executive Director of NALAC, and was really meant to further encourage dialogue and understanding over the impact of arts in our communities. The Town Hall itself was held that evening at the Guadalupe Cultural Arts Center and graciously moderated by Dr. Antonia Castañeda. Accompanied by Maria López De León, Felix Padrón (Executive Director of City of San Antonio Department for Culture & Creative Development), and Gary Gibbs (Executive Director of Texas Commission on the Arts), Chairman Chu shared short remarks about the NEA's 50th anniversary and afterwards the group generously responded to moderator and audience questions. The Q&A also included a characteristically thoughtful and inspiring statement encouraging ongoing NEA engagement with diverse Latina/o communities by Dr. Tomas Ybarra-Frausto. We've had wonderful interns over the years, and we're looking for the next generation of leaders! Through a NALAC Internship, individuals gain experiential knowledge of the work involved in nonprofit arts administration, and understand the role of the arts in communities, while developing "real life" business skills that can be put to use in their future careers. This position is ideal for non-profit and business management, technology and web design, bicultural studies and students interested in organizational development. Get details here and please refer us to your friends! NALAC is the only national service and advocacy organization exclusively dedicated to promoting Latino arts and culture-across disciplines and ethnicity in the United States. Your membership is critical to our work, strengthening our capacity to advocate and make the case for increased public and private funding for Latino artists. Take a moment to learn about the conditions informing the educational environments of Latina girls and women across our nation through the Fulfilling America's Future: Latinas in the U.S. report. Created in 2015 by Patricia Gándara, Professor of Education at UCLA and Co-Director of The Civil Rights Project, in collaboration with The White House Initiative on Educational Excellence for Hispanics, the report highlights areas of participation--such as education, health, labor, housing and politics--that can influence key policy and advocacy efforts. The National Endowment for the Arts is always looking for individuals with experience and expertise in one or more of the arts to serve as grant review panelists. If you're interested in becoming a NEA panelist, send an email to panelistforms@arts.gov for additional information. The National Association of Latino Arts and Cultures (NALAC) is a legacy organization investing in the Latino heritage of this nation. For over 26 years, NALAC has built a strong foundation for the promotion of Latino arts and culture and its advocacy efforts have advanced issues of cultural equity and raised the visibility and understanding of Latino artistic and cultural expression. The National Association of Latino Arts and Cultures (NALAC) is the nation's leading nonprofit organization exclusively dedicated to the promotion, advancement, development, and cultivation of the Latino arts field. In this capacity, NALAC stimulates and facilitates intergenerational dialogues among disciplines, languages, and traditional and contemporary expressions. NALAC serves thousands of Latino artists and hundreds of organizations representing a national and international community of multiple Latinidades; a network that crosses many cultures across the Latino Diaspora. For more information visit our website at www.nalac.org or like us on Facebook at www.facebook.com/Nalac.arts1.